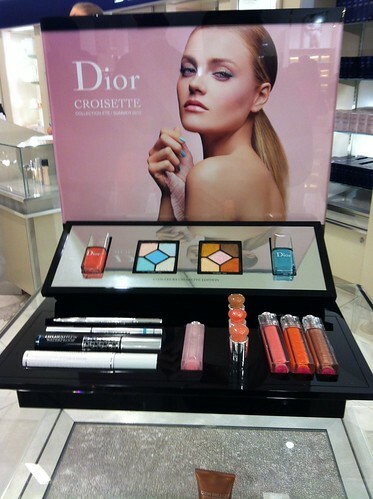 First thing I saw was the Dior Croisette Summer 2012 Collection. 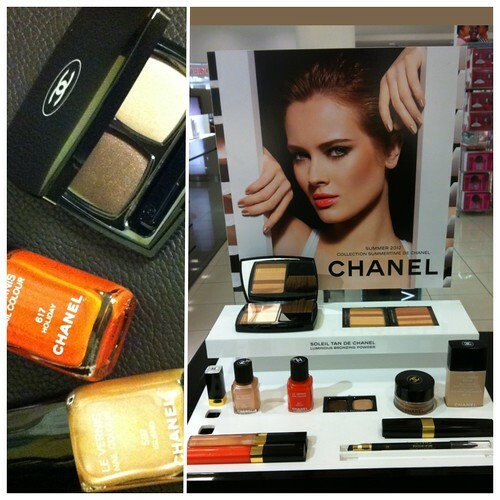 Now I have been debating about this collection. The colors really doesn’t appeal to me but the pleated design on the palette is just gorgeous. 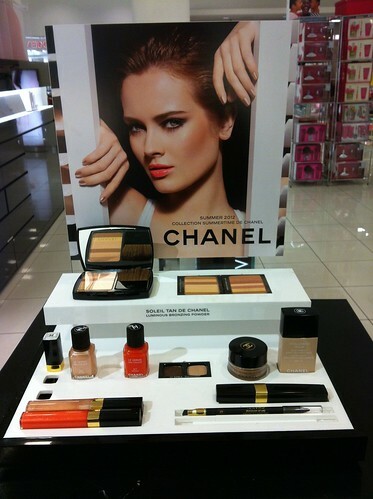 If you know me, you also know I spend time gazing at my makeup collection on a daily basis. Call me weird or whatevs. It brings me joy staring at beautiful things. Besides it’s cheaper than a shrink, safer than any pharmaceutical. So, the SAs told me I can make my purchase a pre-sale for their upcoming event that way I can get a gift and have my makeup done by the Dior’s national make up artist. I purchased the Aurora palette, both nail polishes (which is my first venture into Dior Vernis) and Ultra Gloss in Pink Croisette. 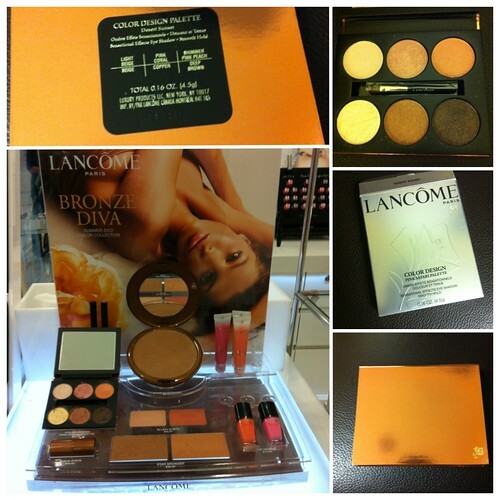 And then I saw Lancome’s Bronze Diva Collection. 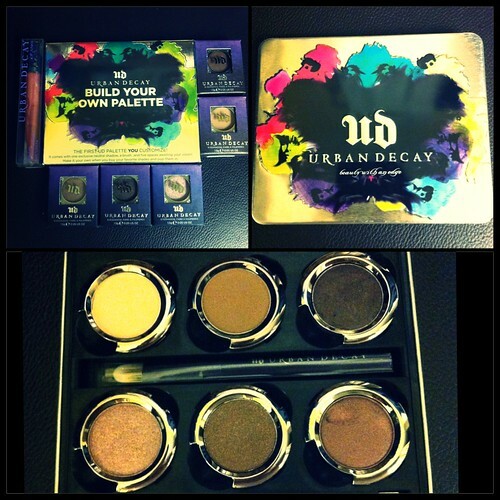 This collection didn’t even appeal to me across all the beauty blogs that I subscribe to but when I saw the gorgeous colors on the palette I couldn’t really help myself. The picture really doesn’t do it justice. It’s perfect for beach-y destinations. Aside from the palette, I also got a tube of Lip Junkie in Naked. I first came across this lovely product when I bought the Naked 2 Palette, it came in a cute little tube. I love the hydrating, non-sticky feel that tinges just a tad. Anyways, thanks for stopping by!